Attending the 25th anniversary celebration of the publication of Disability equality in the classroom: a human rights issue was an inspirational experience. Continuing from my post They said we couldn’t do it, I wanted to highlight here the powerful messages of two other keynote addresses from Dame Alison Peacock and Prof Gus John. Dame Alison Peacock is the co-author of Learning Without Limits and a keen advocate for child-centred learning. She believes in moving away from the ‘levels and labels’ culture that, in her opinion, our education system has become obsessed with. Alison commented that she had always been a bit of a ‘radical’, saying that education doesn’t need to be like this. She has met some fantastic people during her career and with the idea of learning without limits now going viral in schools, the concept of young people having a limited ability is rapidly becoming unacceptable. Her address went on to say that many headteachers and teachers spend their careers worrying about labels and testing children and this shouldn’t be the case - children should feel like super heroes and school should be a place where anything is possible! 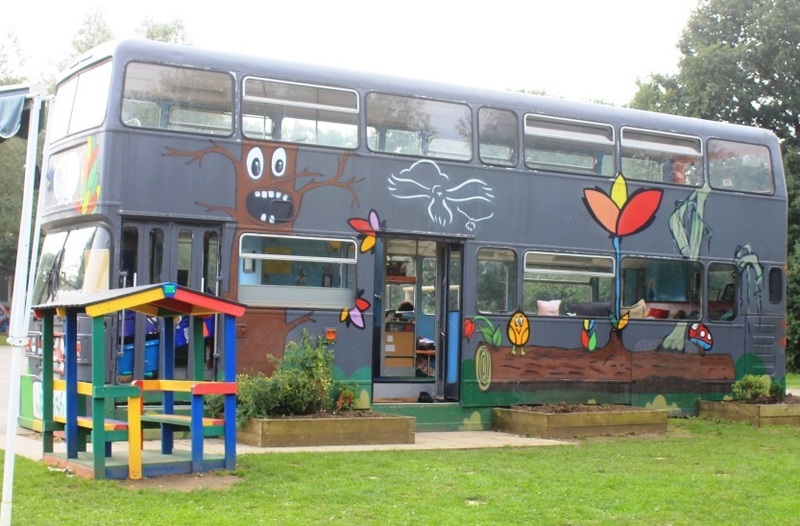 Alison’s description of the double-decker bus, purchased to be the school library, summed up the ethos of her address perfectly. I came into teaching as I want to change the world…not talk about what is 'wrong' with the child - but what we can do to ‘enable’ the child? Creating positive relationships was the key message from the address. Measuring children doesn’t help them grow; growth comes from positive relationships. Prof Gus John discussed the context of inclusive education within the wider reform agenda. When he asked the question ‘What do we need to do to change?’, I was somewhat surprised and humbled with his initial response: ‘Firstly we need to clone Alison and Gareth!’ He then shared a very poignant quote: ‘Find out just what any people will quietly submit to and you have found out the exact measure of injustice and wrong which will be imposed upon them, and these will continue till they are resisted with either words or blows, or with both.’ Frederick Douglas (1857) Gus talked about a schooling system that has lost its way and has not defined what it is about - there is a need to reclaim education for all. His address showed concern that in the educational discourse of today we rarely hear talk about children's rights, or the UN Convention on the Rights of the Child, which should be the bedrock of all we do. Children need the skills to take control of their own lives and be given the rights and responsibilities to earn themselves and society respect. This should be a duty of schools: teach respect and understanding of others who are different from yourself. This was a key message of the event itself and built nicely upon both Alison’s and my initial addresses. Gus was very forthright, commenting that the ‘cult of the individual has developed in some schools and that has become the epitome of selfishness, greed and survival of fittest’. He continued with specific evidence: ‘Maggie Atkinson’s research found that a boy of black heritage with SEND is 168 times more likely to be excluded than a white British girl from an affluent family. The DfE’s own statistics show that 3900 primary and secondary pupils were excluded in 2012-13 for physical assault against an adult, representing 31.3% of all primary permanent exclusions’.‘Students with SEN are 10 times more likely to be excluded, and those with a Statement around 6 times more likely’ commented Prof John and his conclusion was that it is ‘shocking by any measure’. Whatever the circumstance or specific need there should always be fair treatment to groups vulnerable to exclusion. Unfortunately, it is very evident that this is not true in many cases. Gus finished by noting that currently our schooling system is creating casualties as a result of this two track system. Greater equality for vulnerable groups and those with SEND is essential to a fairer and more equitable provision in the UK. Who could disagree?